Organic Well Being: Don't put this in your bathtub! Yesterday, I released a brand new investigation into a very popular "handmade" cosmetics company. I debated whether or not to take this on, but after seeing your comments on social media, I'm so glad I did! 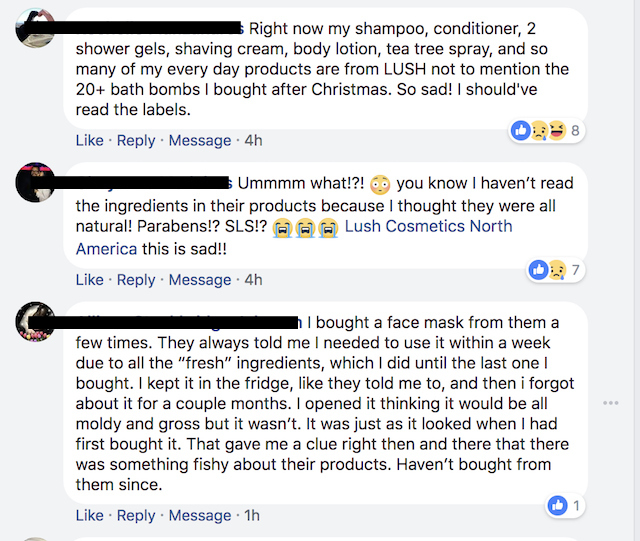 Many of you have emailed me about the brand Lush … I see people at the mall going crazy for their wide array of colorful bath bombs, lotions, and soaps, all claimed to be "handmade", "fresh", "natural", "cosmetics with nothing to hide"… Unfortunately when a company markets themselves like this, many people buy up their products without considering what the ingredients are, and that can be a huge mistake. Read the new Lush investigation and see their shady ingredients here. Even if you don't use Lush, in this post I give you a quick rundown of some of the worst ingredients that you should watch out for in your products, such as…. Parabens - Hormone disrupting chemicals linked to breast cancer and reproductive problems, which can be absorbed by the skin and known to have a big effect in very tiny exposures. Artificial Colors - Can be absorbed by shaven skin and may contain carcinogens and neurotoxins. Sodium Laureth Sulfate (SLES) - May be contaminated with 1,4-dioxane, which is linked to cancer. PEG-100 - Can be contaminated with Ethylene Oxide and 1,4 Dioxane, which are both linked to cancer. Fragrance - Companies refuse to tell you what's in these, which can include highly toxic ingredients, hormone disruptors, and carcinogens. Do you know someone who needs to clean up their beauty routine? Please share this post and email with them! P.P.S. What works for me, may not work for you – there are so many great products available now, you WILL find some that suit you. It might take you some time navigating through the world of natural beauty! God knows, I've been through several trials and errors.